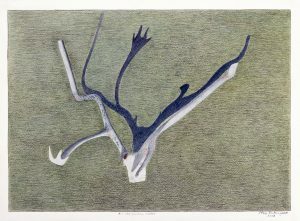 Although he had been involved in both drawing and film animation during the 1970s, it was only during the last decade of Itee Pootoogook’s life that he became actively involved with the Kinngait Studios in Cape Dorset. 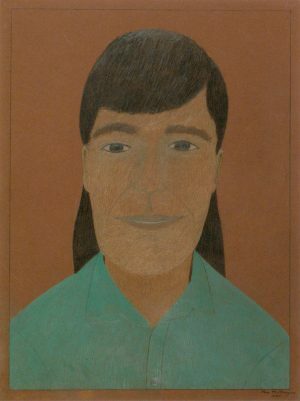 Feheley Fine Arts first introduced his drawings at the Toronto International Art Fair in 2008 and his work quickly gained recognition. 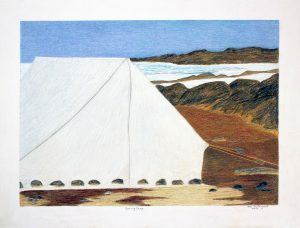 His sensitive and atmospheric renderings of Cape Dorset and its environs are redolent of his love of the landscape and townscape that was his home.